Comfortable Cozysubmitted by Naranalia G. - Jan 29, 2019 |Recommended: YesI really enjoy living at Belmont Buckingham. The staff is very friendly and helpful when it comes to any issues you may have. My only complaints are about some of the fixtures within the units, but overall I know they were installed with the idea they would make life easier. I 100 recommend folks check this building out. I searched long and hard for a place and this was the only one that immediately felt like home. 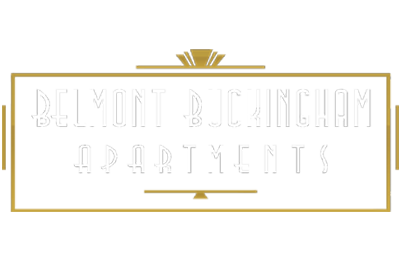 response from property - Mar 19, 2019 Thank you so much for sharing your experience at Belmont Buckingham! We appreciate the feedback and are glad to hear that you feel like home. We look forward to your continued residency with us! Best in Capitol Hillsubmitted by Ann L. - Nov 07, 2018 |Recommended: YesLocation Location Location this beautiful, historic hotel from the 20s is solid, charming, full of amenities and quiet. The view of the Capitol out of one window and the Rocky Mountains out of the rest are my Why. The quality and support of Billy and his team onsite provides warmth and professionalism not otherwise found in the City in PM. Billy is a true professional who understands the value of residential retention. It is evident from the moment one is shown an apartment here at the Belmont Buckingham. As an entrepreneur and franchise trainer with a busy travel schedule, it is important to know my studio is well managed. Beautiful History Property.submitted by Jessica K. - Apr 30, 2018 |Recommended: YesWe have loved living at Belmont Buckingham for the past year and a half. I'm sad that we have to leave. This has been one of the most enjoyable apartment experience we've ever had. Even with the recent management changes, we have always experienced excellent service from the building staff. The units have beautiful hardwood floors and massive, operable windows, and the grounds are possibly the largest lawns you'll find for apartments in the Capitol Hill neighborhood. I can only imagine that everything will be even nicer once the current renovations are complete. Really good place to livesubmitted by Reginald N. - Dec 20, 2017 |Recommended: YesI've been at Belmont Buckingham for about 6 months now and it has been overall a positive experience. The apartments are really nice and have a lot of character. It has an old hotel feel. The rent is definitely reasonable compared to everything else around and the staff and maintenance are really great. Kylie the manager for the office is awesome and really takes care of you. My only complaints about the place is having to find a parking spot, there is a parking lot but I choose to be cheap and not get one. So really my complaint is my on issue or an issue with cap hill in general. Overall though this is a great place to stay.